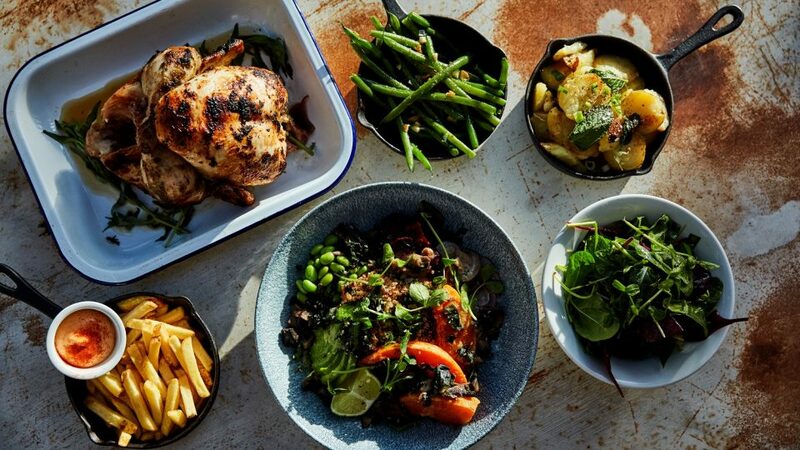 Satisfying the growing demand for wholesome food-to-go, No 32 Old Town has introduced ‘Cluck & Collect’, a healthier kind of takeaway that is house-made and virtuous, making good healthy food accessible to all to keep up with busy schedules. Orderable online via ‘cluck and collect’, guests’ food-to-go will be available to pick up fresh from their chosen bar within a selected time slot, packaged simply and in line with the Darwin & Wallace sustainability values. Menu choices include the virtuous Half (£11) or Whole (£19.50) Lemon & Tarragon Marinated Rotisserie Chicken alongside nutritious sides such as the mixed salad, green beans, fries and aioli or the crushed potato. For those with a sweet tooth, the menu offers a White & Dark Chocolate Mousse (£6.95) with pistachio crumbs for a delicious pudding.